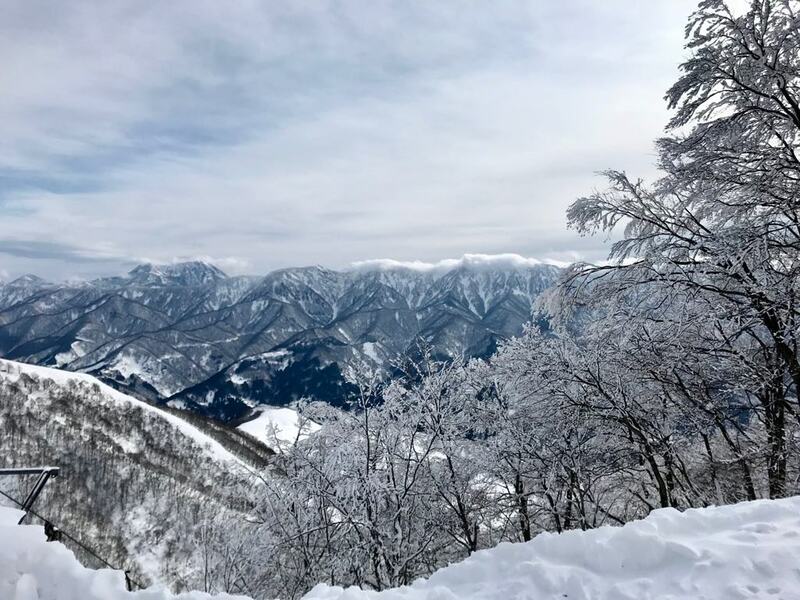 Talk about a snow lovers paradise – Hakuba has it all. With seven different resorts there is ample to choose from, and they are all so easy to access with different things to offer. We were there for only a week, but it would be so easy to have a couple more. We were there in late December / early January, which apparently this time two years ago there was almost no snow. Fortunately for us, this winter has been so epic that the 2017/2018 started back in mid-November. The most popular time to visit is apparently January to February. We were advised to get our rental gear from in town – specifically, Spicy’s Rental (which is absolutely everywhere), Rhythm or Woody’s. Spicy’s was across from the bus station, so we opted for there. 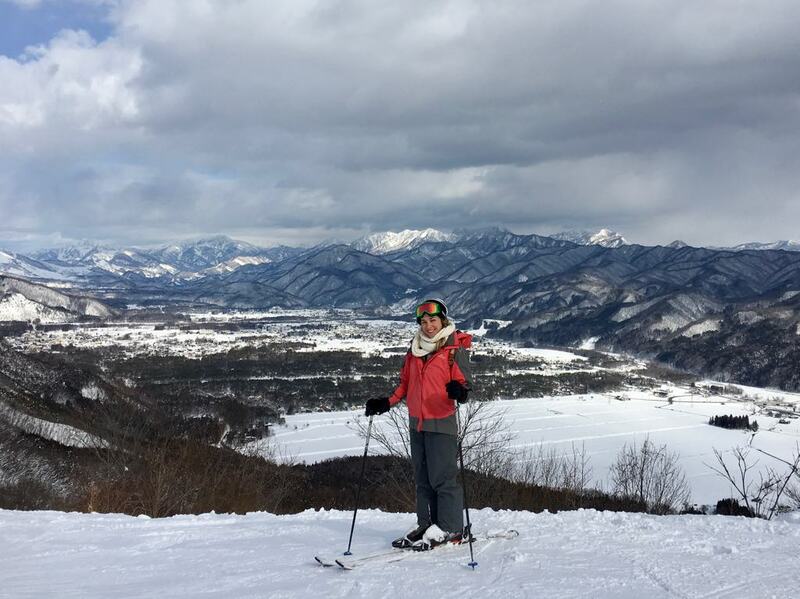 Three days hire cost us ¥11,000 each – this included skis, boots, poles and insurance. Buses run approximately every hour and are usually free. There are a number of different routes they take, so just check when you get on that the driver will be going to your stop. If not, they will usually point you in the right direction. 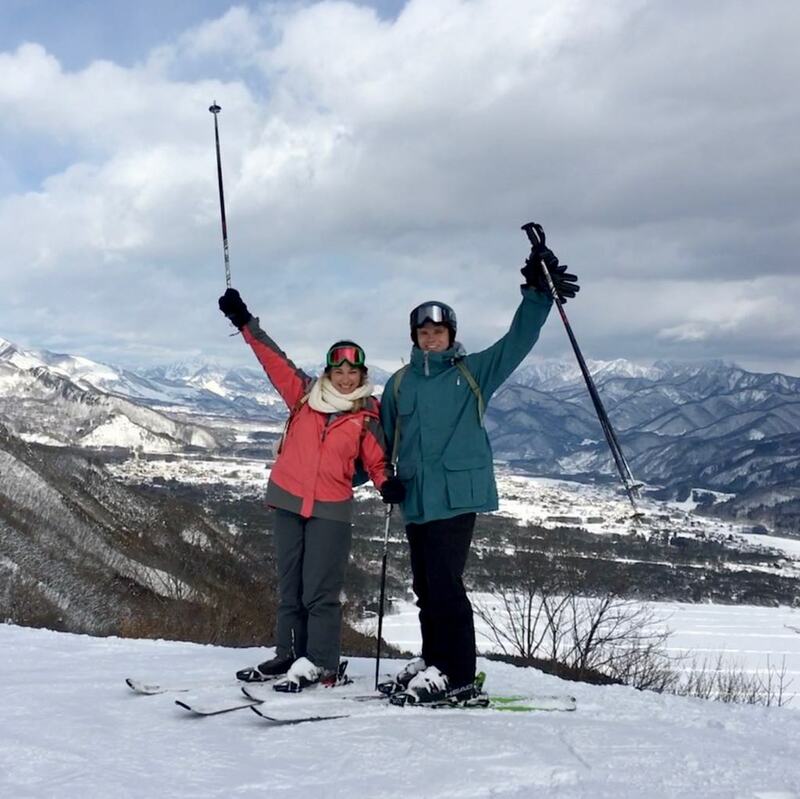 We spent our first two days skiing at the Hakuba 47 Winter Sports Park and Hakuba Goryu Ski Resort. These two spots are connected by slopes (and Iimori lies somewhere in the middle) which you can ski between, making it the second biggest resort in the area. A two day ski pass cost us ¥9000 each. The views from the top are absolutely breath-taking; you look across at the mountain tops and down onto the villages in the valley. 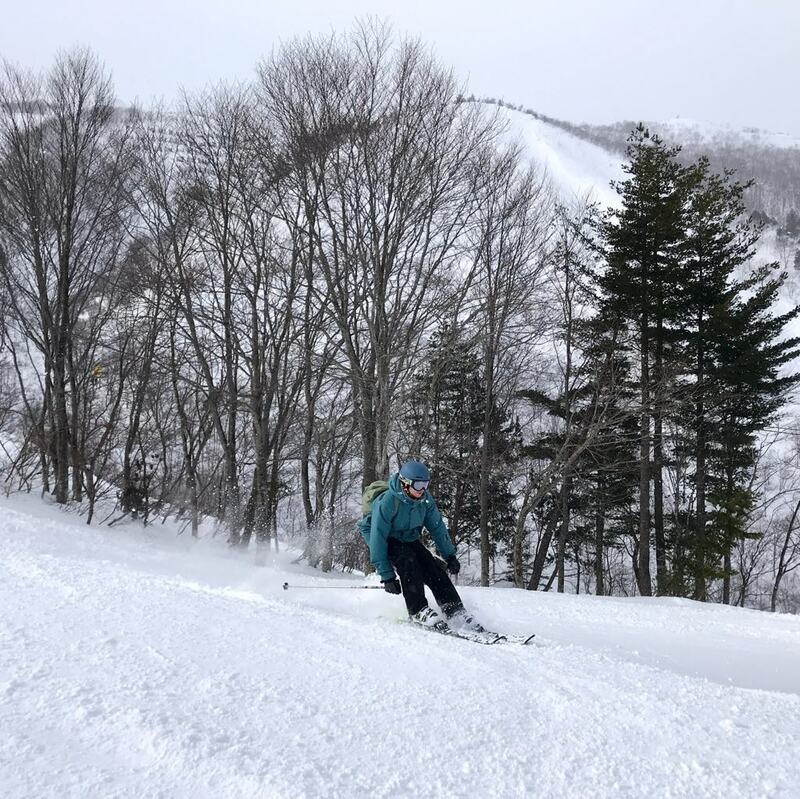 Personally, I liked the terrain at Hakuba 47 more – it was slightly steeper (still only at an intermediate level though – not outrageously difficult) and way more open – allowing for faster and easier skiing. 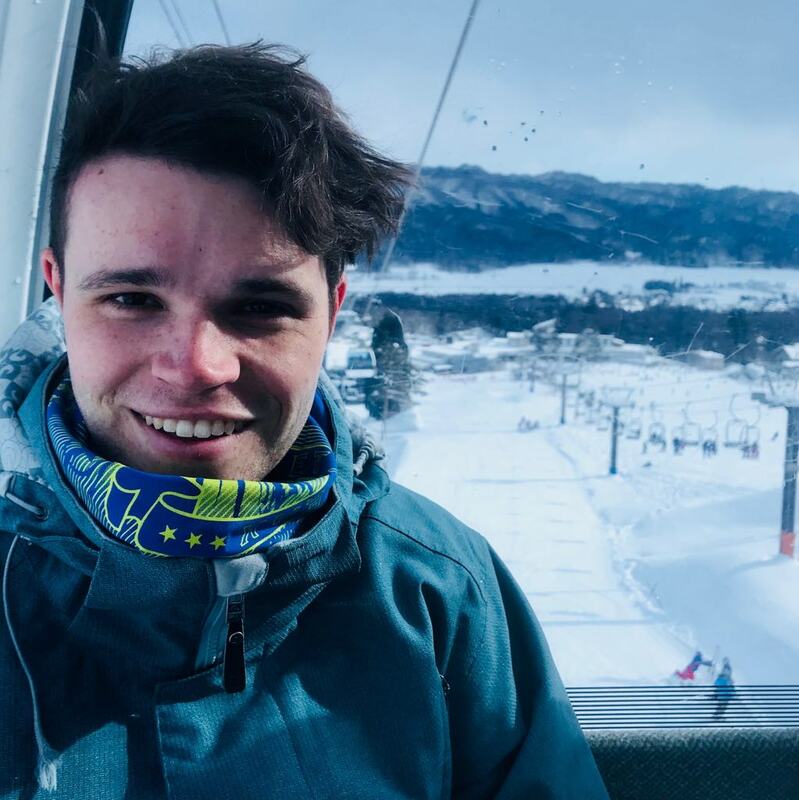 It was so great on our second day – we could catch the bus right outside our accommodation with our boots on and skis ready to go, and were on the chairlift literally moments after getting off the shuttle. There are plenty of eating options around the mountain – expect to pay between ¥1000-2000. 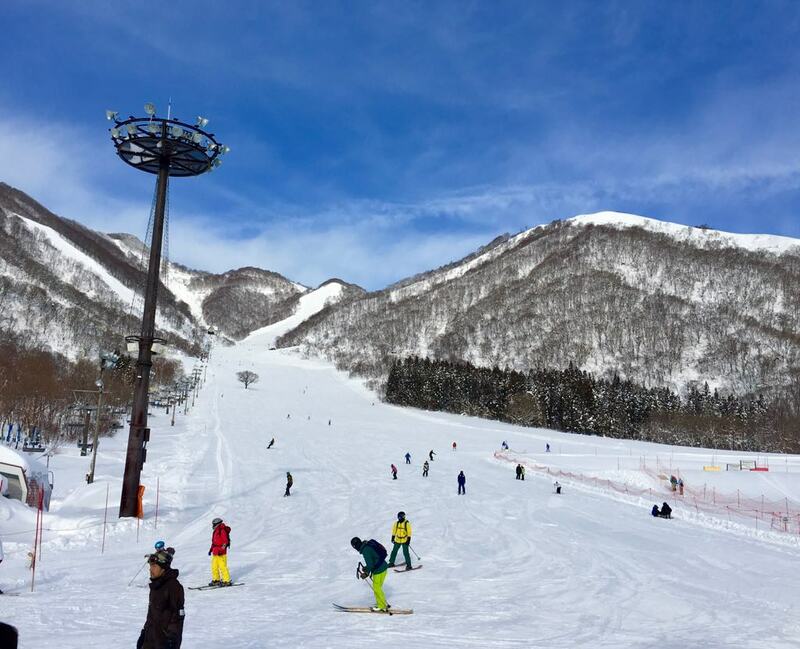 When there is a downfall of snow, everyone seems to flock to the Hakuba Cortina Resort for the powder. It was a bit more of a mission to get to, although it did actually work out pretty easy in the end. From our accommodation we skiied down to the Hakuba train station in time for the 7.56am train bound for Minami – Otari. Twenty minutes later we were off the train and on a free shuttle heading up to the ski field. At the end of the day we caught a bus for ¥500 that took us to Happo bus terminal, where we transferred to a shuttle which dropped us home. It probably took about an hour each way in total – we were both surprised at how far up the valley Cortina actually was. It was well worth the trip, I absolutely loved Cortina. 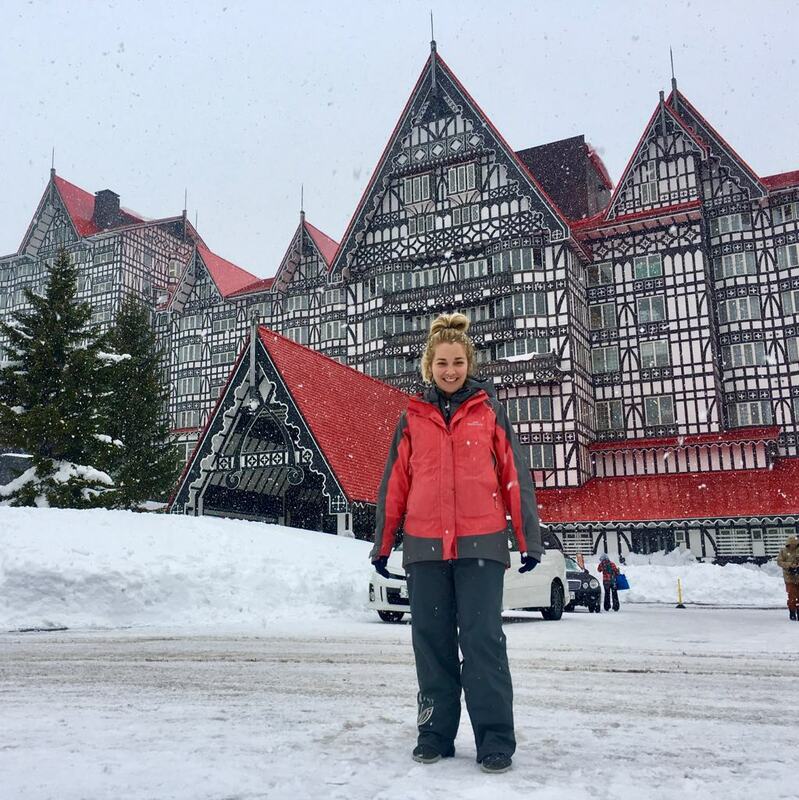 When you arrive, you are greeted by the sight of an astonishingly large European-style hotel, which has shops, restaurants, an onsen and ski rental. 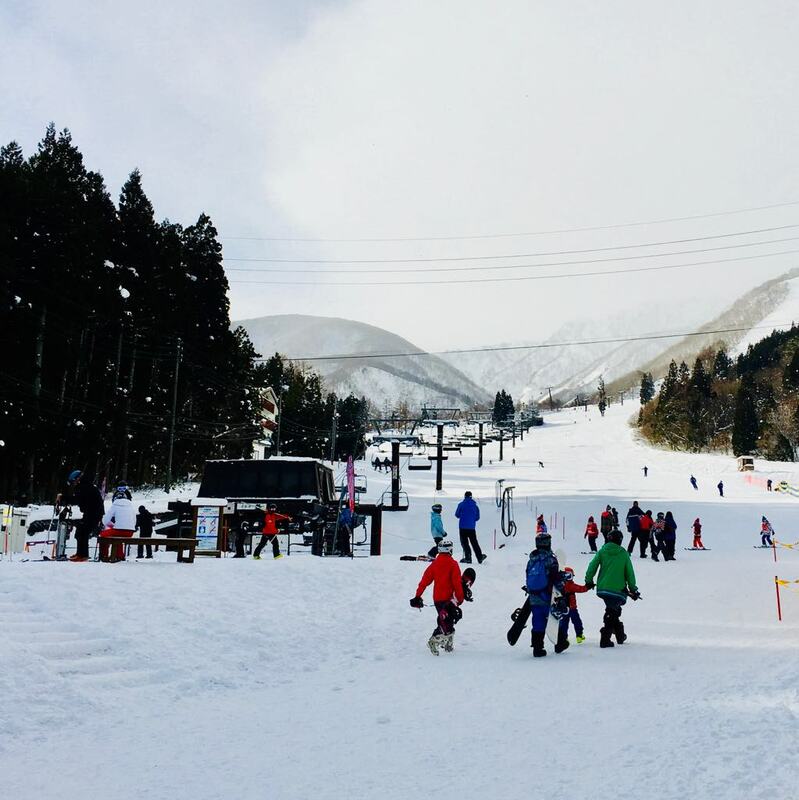 There are vouchers around which give you a days lift pass, ¥1000 off lunch, free entry into the onsen and 20% off rental gear all for ¥4500. We ended up eating at the hotel restaurant (second floor), which gave us very cool views of the snow falling and the mountain during a bit of a snow storm, but there is actually an all you can eat buffet down in the basement. The onsen is located on the third floor of the hotel. Cortina was very scenic – the only ski field where you get to properly experience skiing through the trees. The last ski field we skiied at was Happo-One. It hosted the downhill races at the 1998 Winter Olympics and has the jumping stadium right next door. 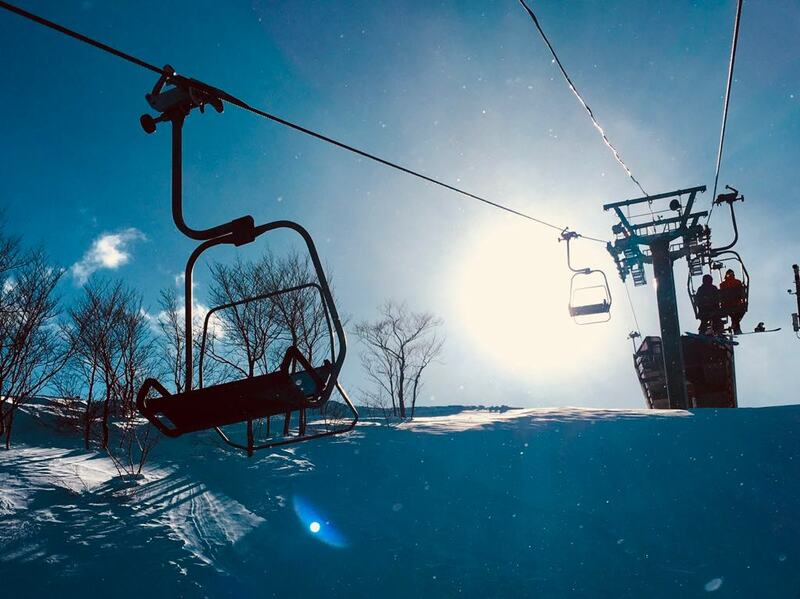 It is the largest ski field in the region, with a total of 23 lifts. 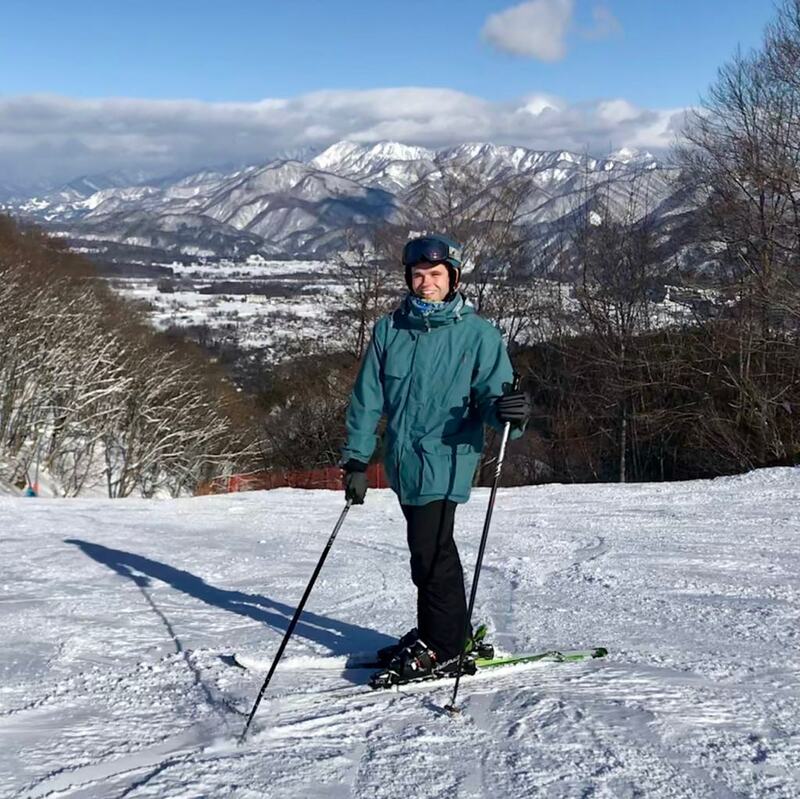 It was my personal favourite; in terms of choice it was just so plentiful in options, and it was so easy to ski where other people weren’t. 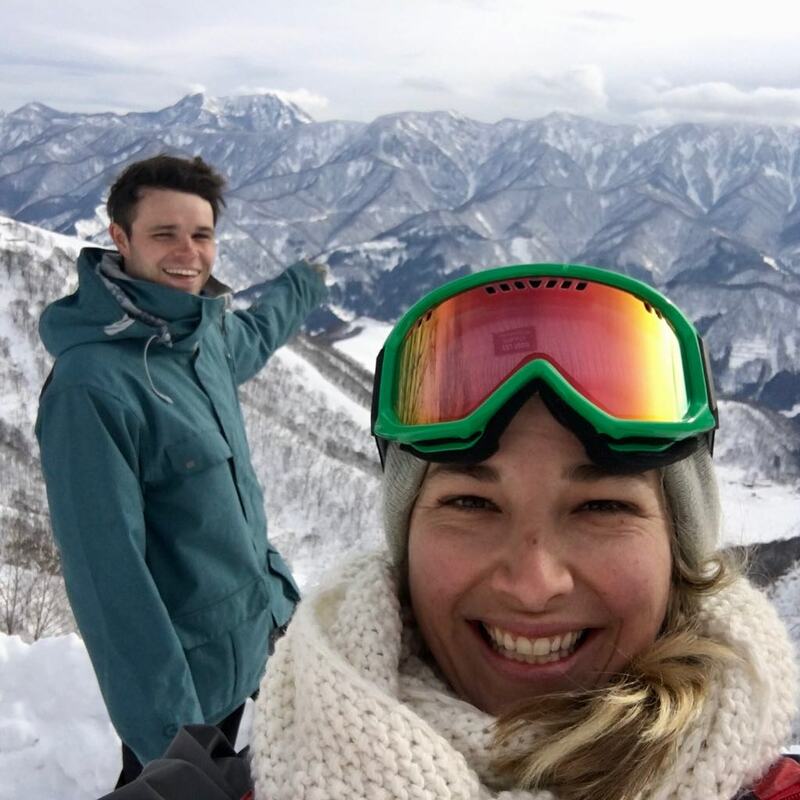 There were heaps of chairlifts going from the bottom – we got dropped off at Nakiyama which tends to be less busy. The upper half of the mountain was closed when we arrived due to high winds (but it didn’t matter because there were so many options lower down anyway) but it turned into a beautiful morning not long after and we could ski the whole mountain to our hearts content. 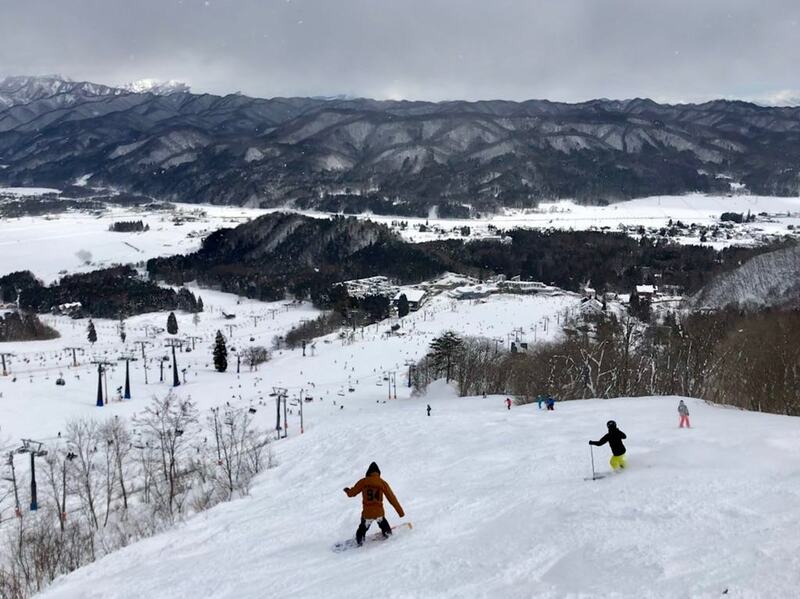 Other popular ski fields include Iwatake (more of a beginners slope, with the Hakuba Brewery at its base) and Tsugaike – but we ran out of time to visit these.